Click here to view Must Visit Roadside Attractions list. 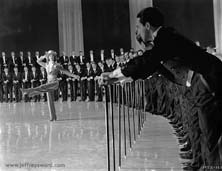 Busby Berkeley (1895-1976) was one of the most imaginative and innovative choreographers and directors in motion picture history. 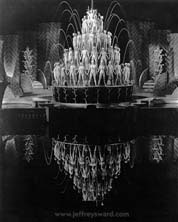 Busby is most noted for extravagant musical production numbers featuring dozens of female dancers forming geometric patterns. 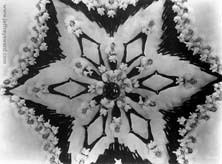 Many motion picture cinematography techniques were pioneered by Busby, such as ceiling shots and moveable camera positions, especially using cranes. 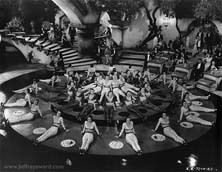 Busby Berkeley was also responsible for several memorable long take sequences. Visit Busby Berkeley's film list at imdb. Visit the Classic Movie Favorites Busby Berkeley site. 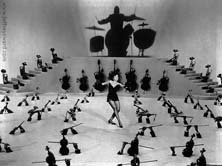 Motion pictures which contain choreography by Busby Berkeley.